On June 1, three members of Orlando Food Not Bombs were arrested for sharing food with hungry people in a park in downtown Orlando. Such news is almost incomprehensible. People arrested for helping out people in need. Unfortunately, as shocking as this news is, it is not unfamiliar. Cities around the country have used laws to target and move homeless people out of downtown areas for decades. But, now our cities have stooped even lower, so that we can’t even allow members of our communities to help out one another. What kind of a message does this send to our community members? What about our children? Do we want them to grow up learning that serving those in need is not only not worthwhile, but something to be punished? The ordinance that these three people violated is one that requires groups sharing food with 25 or more people in certain downtown parks to obtain a permit to do so. And groups are only allowed two such permits per covered park per year. Given that certain central locations and regularly scheduled meals at those locations tend to reach the most people (due to visibility and predictability), these restrictions make it more likely that people in need will not be able to access safe, nutritious food. The ordinance has been tested in court and the 11th Circuit recently issued an opinion upholding the law – although the district court overturned the law. Clearly, the City of Orlando is taking its cue from the court to recommence enforcement of the law, but to what end? The penalties for violating this ordinance are 60 days in jail, a $500 fine, or both. 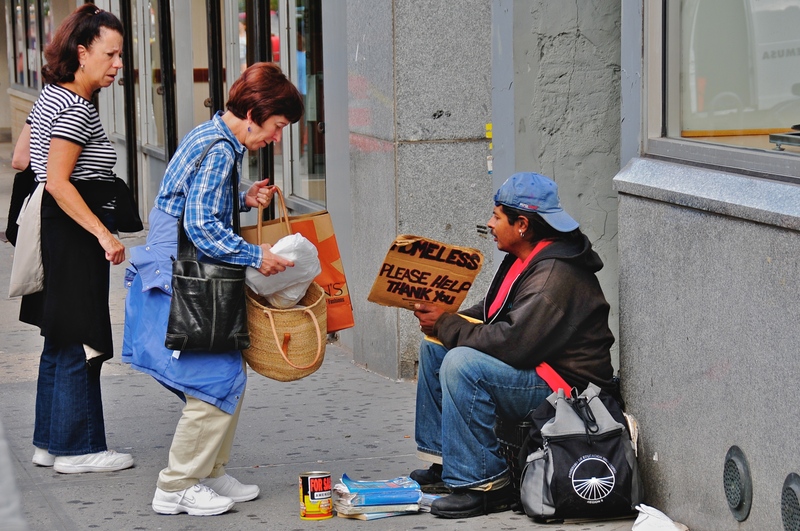 In a time when budgets are strapped and human services are being cut, city resources should be going to helping homeless people move beyond homelessness, instead of incarcerating those who want to help. Jail costs are extraordinarily high, especially in comparison to the cost of housing and shelter. It does not make any fiscal or practical sense to use police, jail, and court resources to address this issue. Putting aside the fiscal aspects of enforcement of this ordinance, it is clear our communities need to do some soul searching. We need to do better than this. We need to show future generations that it is poverty, hunger, and homelessness that should not be tolerated, not the acts of compassion to address them. For more information about the criminalization of homelessness, check out the report card we released today on housing rights in the United States. 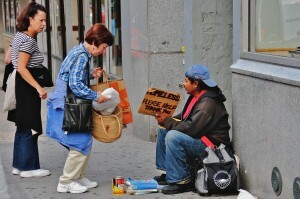 This entry was posted in Civil Rights and tagged Civil Rights, food sharing, homelessness. Bookmark the permalink.